Ready or not, the new year’s here. 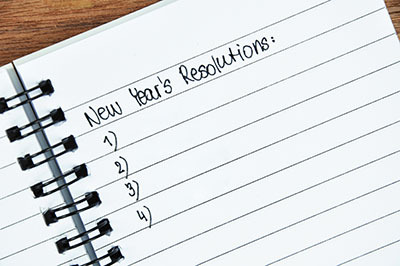 And if you’re like everyone else around you right now, you’re coming up with some pretty ambitious resolutions. That’s awesome. Also probably a little bit scary. Sure, it’s easy to say you’re going to get more organized—but how are you actually going to do that? While I can’t volunteer to follow you around for the year to keep you on track (nor do I think you would want me to), I can introduce you to nine free apps that’ll provide you a few shortcuts and get you closer to accomplishing your goals. Build your knowledge in minutes a day with the Curiosity app. Watch hand-picked videos on five fascinating topics, or if you’re really pressed for time, just peek at the key facts and infographics to learn something new in seconds. Of course, this won’t replace a taking a class, but it will expand your horizons and make you feel much more informed and up-to-date. Stop wondering where your money goes and plan for your financial future with Mvelopes. This app uses the concept of “spending envelopes” to track your spending and create a plan for your income. To make your life as easy as possible, it syncs with your bank securely and seamlessly. Oh, and once you’re set up, you can see in just seconds the funds you have left in each virtual envelope for your customized budget categories. It’s crazy that we have to carve out time to relax these days, but we do. And Headspace is just the app to help you get there. It offers guided and unguided mediations lasting anywhere from two to 60 minutes. Plus, it sends you reminders to make sure you don’t forget to take that break. And even better, it offers digital rewards if you make chilling out a regular habit. Is your problem that you spend hours at work browsing YouTube videos, letting emails pile up in your inbox, or drinking coffee all day, every day? No judgment here. Personally, I’m fueled by Diet Coke. But HabitRPG can help you get your vices under control and have fun doing it. Like the name suggests, it’s a role-playing game. But, instead of zapping bad guys for no reason, you play by living up to your promises—or slipping back into old habits. You can earn points and rewards for overcoming temptations, compete against your friends in willpower battles, or join a guild to find other players with similar struggles. Remember what it’s like to spend all day curled up with a good book? Me neither! But I still need to—and want to—keep up with my reading. That’s where an app like ReadMe! can be a lifesaver. The app’s colorized streaming text reduces the amount you have to move your eyes so you can read more quickly. You can amp up the speed if you’re really in a hurry, or slow it down if you want a more relaxing experience. ReadMe! also allows syncing between devices and offline reading, so now there’s no excuse for not getting caught up on that pile of books you’ve been collecting. It’s great if you love your job so much that you can spend hours absorbed in it. But it’s not great to spend all those hours glued to your chair. Apps like Stand up for Android or Stand Up! for iPhone will make sure that you don’t let being in the zone destroy your health. Both of them let you choose the intervals when you’ll get a “take a break” reminder. However, it’s up to you to decide what you do during that time–maybe a few yoga stretches, a hike up and down the stairs, or just a brisk walk to grab a glass of water. Helping you make meals that are good for you is Yummly’s specialty. The recipe app has a powerful search feature that sifts through top food blogs to find options that’ll satisfy your cravings—but in a healthy way. Bonus! It also serves up gorgeous, full-sized photos of the mouth-watering dishes you’re planning to prepare. Try looking for “quick lunch,” “simple lunch,” or “hot lunch,” and you’ll get a load of delicious recipes you can easily compare and choose from. Even better, you can create shopping lists for each recipe and access or organize them on any device. Oh, and you can use that powerful filter to get recipes that fit your nutritional goals, avoid your allergies, and work with your tastes, or you can add your own favorite dishes to the app so that your “Yums” are always right at your fingertips. Does the thought of everything you have to do in 2016 already overwhelm you? Stay on top of your tasks with your very own virtual assistant from 24me. It brings your to-dos from your calendar, task manager, notes, social networks, financial institutions, and more together in one place automatically, reminding you about your cannot-be-missed errands and due dates. The power of the app comes from both consolidating all your information and giving you one-click ways to get things done. So, paying your electric bill, ordering a birthday gift for your boss, or getting to your client meeting on time is as fast and painless as possible. And, if you’re so busy that you can’t even get it all done yourself, 24me will put you in touch with an actual assistant to run your errands or tackle your tasks. The last resolution tool isn’t exactly an app, but it does use your smartphone to try to cure you of an annoying habit—being late. Interruptive is a Chrome extension that calls you to remind you that it’s time to hit the road for your next appointment, or that you need to get started on that project you’ve been putting off now. Interruptive integrates nicely with Google Calendar so all you have to do is decide how much in advance you want to be reminded of important events. The service will call you then—and keep calling you every minute for five minutes—until you confirm the call. Truly annoying, but definitely hard to ignore. And honestly, it’s probably exactly what you need if you’re known for being a little more than fashionably late. New year’s resolutions definitely require a good dose of stick-to-it-ness, but these apps make it easier to see them through. Good luck!